Reasonable Locksmithing is more than capable of designing and implementing master key systems for our Cortlandt Manor LOCKS & LOCKSMITHS clients. A master key system will essentially allow you to open some or all of the doors or entry points in your facility using a single key. While a master key system may be convenient, they can also be dangerous in the wrong hands. In fact, weaker master key system keys can be duplicated using a few blank keys and a metal file. Fortunately, we develop our master key systems using a proprietary, state-of-the-art “design wizard” software that cannot be breached. Essentially, Reasonable Locksmithing devises master key systems using 3 established methods: namely, the copy, auto, and standard methods. The copy method essentially consists of devising a new master key system by copying an existing one’s structure. The auto approach is streamlined in the sense that we merely need to input the amount of pin chambers found in the lock, the lock manufacturer’s selection, and the amount of master levels needed to create the master key system. The auto create function will handle the rest automatically. Concerning the standard method, Reasonable Locksmithing will input every single feature and detail required to create a new master key system. Moreover, we can also activate a random generator which allows us to access several different random options by employing the parameter settings. The standard method is more complicated but also more secure, which is why it is used most often. In addition, Reasonable Locksmithing provides a free consultation with our Cortlandt Manor LOCKS & LOCKSMITHS clients before we install our maser key systems. We also provide a guarantee on all parts and labour with every master key system we implement for full peace of mind. Moreover, we have provided master key systems for a diverse set of Cortlandt Manor LOCKS & LOCKSMITHS clients, including banks, residences, corporations, and military compounds. Furthermore, we store all the data we use to create your unique master key system to form a profile. This allows us to expand or modify your master key system if you need to in the future (i.e., denying, granting access to certain employees who have been fired or promoted). Reasonable Locksmithing has provided thousands of locks and lock/security systems of every make and grade conceivable to our Cortlandt Manor LOCKS & LOCKSMITHS clients. Moreover, our locksmiths treat our clients as valued business partners. That is, we treat all of our clients as equals and value their input so that the end result satisfies both parties. Not everyone needs the latest-and-greatest propriety technology to protect their bicycle or moped. We will help you find the ideal locking system to meet your unique Cortlandt Manor LOCKS & LOCKSMITHS needs without breaking the bank. To do so, we will arrange a free consultation as well as a free inspection of the vicinity or object that needs protecting to devise a custom security plan for you. Moreover, we currently provide lock picking, forging and installation services for the industrial, residential, forensic, and transport sectors. 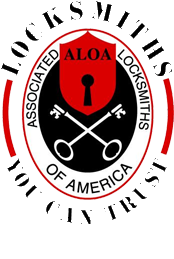 All information provided is provided for information purposes only and does not constitute a legal contract between Reasonable Locksmithing and any person or entity unless otherwise specified. Information is subject to change without prior notice. Although every reasonable effort is made to present current and accurate information, LinkNow! Media makes no guarantees of any kind.